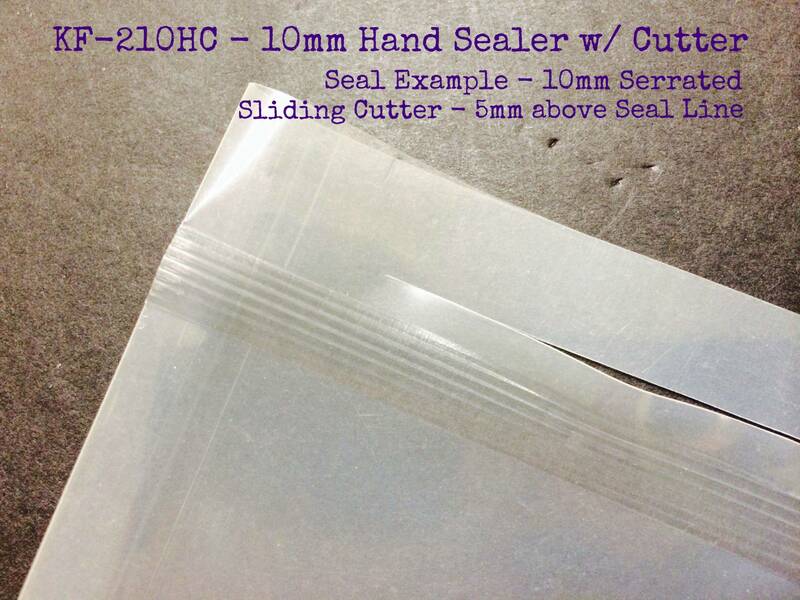 Make your own poly bags with our hand sealer with sliding cutter (Model: KF-210HC). 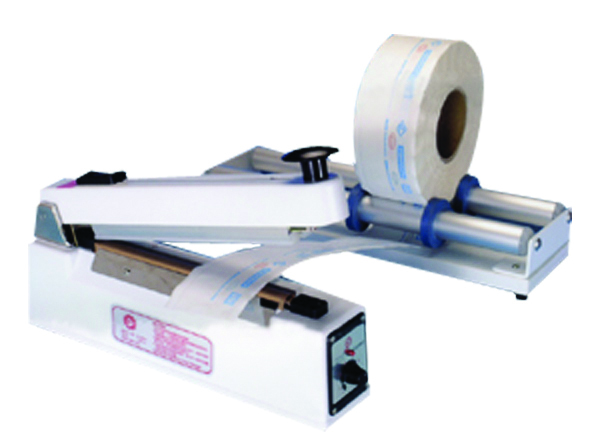 The sealer can also be used for non medical packaging as well. 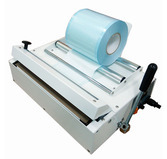 The unit is an 8″ hand sealer with a 10mm wide serrated seal line. Sealer is portable. Matching optional film roller is also available. Take a look at some of the units that are available for the medical market.